Essex and Suffolk Pest Solutions provide high-quality pest control services in Suffolk’s county town of Ipswich. It is thought to be one of the oldest towns in the UK, dating back to Roman times, and now has a thriving commercial sector centred around the town’s Waterfront. The business pest control services we can offer in the town include mice and rat control, dealing with nuisance birds, and eradicating insects such as ants and cockroaches – all of which can cause serious damage to shops and businesses. We also specialise in eradicating Stored Product Insects such as beetles, weevils, moths and mites which can damage food and packaging in shipping warehouses. We also offer domestic pest control services for private households and residential blocks. Our professional, experienced teams use discreet, unmarked vans for maximum discretion, and can work around the clock. This saves you time and money and helps protect your reputation. Although there is evidence that the Romans occupied the town and surrounding area, Ipswich really began to take shape in Anglo-Saxon times. The dock on the River Orwell, which was first used in the 8th Century, meant the town quickly became an important trading post with Europe. This helped the town – which was initially called Gipewsic – to grow and flourish in the years ahead. Famous people associated with the town include Roman Catholic cardinal Thomas Wolsey, who is believed to be the son of an Ipswich butcher. Two very different sorts of artists, the 20th century cartoonist Giles and the 18th century painter Thomas Gainsborough, both worked in the town. Two Ipswich Town FC managers, Alf Ramsey and Bobby Robson, both went on to manage England after success with the Suffolk club. 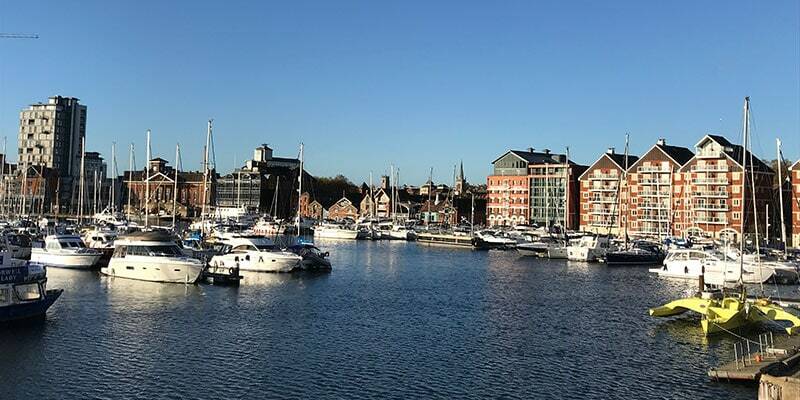 Ipswich now has a population of more than 130,000 people. The A12 links the town with London and East Anglia, while the A14 connects Ipswich to the Midlands and the neighbouring port of Felixstowe. The town now boasts five industrial estates – Boss Hall, Hadleigh Road, Riverside, Whitehouse and Ransomes Europark – while its major shopping precincts include Sailmakers (formerly Tower Ramparts) and the Buttermarket. In recent times the town has also become a hub for the financial services sector. The Willis Building, owned by the insurance brokers, is world-famous for its spectacular dark-glass frontage. The port of Ipswich has two terminals, the West Bank and the New Cut, which are equipped to handle all types of container freight. The nearby Waterfront area has transformed a former industrial dockland into a thriving area of pubs, clubs and restaurants, as well as an upmarket residential area. The new University of Suffolk can also be found here. Whatever sort of pest control services you want in Ipswich, Essex and Suffolk Pest Solutions are the people to call. We offer contract services, which include free site audits and recommendations, comprehensive reports, and free callouts for all the pests covered in the agreement. You can also use us for a one-off problem. We pride ourselves on our high-quality service and can make a number of visits to ensure your problem has been fully eradicated. For example, in the case of rat or mice control, we put down anti-coagulant baits and return to your premises two or three times to make sure the rodents have been eliminated. All our work is carried out in line with the latest Health and Safety legislation, and we operate in towns and villages across Suffolk, including Felixstowe, Woodbridge and Stowmarket. Click here and fill in the online form to get in touch, or call us on either 01473 328092 or 07979 301334.